in less-loader there is native alias ~ for importing npm modules, but in adonuxt it's imposibble. I am trying to access the documentation for adonuxt but the website https://ado.nuxtjs.org is saying not found. Could this be a bug? Is there anything related to Webpack 4 that need to be updated in the original Adonuxt template ? How can I change the publicPath? I am building web application which has control panel and user part. I need to separate global components, stylesheets and other things for each of those parts. It would be best to have two separate instances of Nuxt. Does anybody have some experiences with this and can provide me some solution? Just created a project with the template and I am having trouble getting hot reload to work. When I change the vue component, the page does not automatically reload. does anyone know what am i missing? this is what i get after running "npm run dev"
I'm noticing that when I work on backend classes while npm run dev is running, the process restarts and the nuxt compiler takes way more time compared to when it re-compiles after editing a Vue page/component. So… I'm thinking that it recompiles from scratch. And… it's very annoying to have to wait each time I save & test something I just coded. I found a sort of workaround: comment the Nuxt service build line in the server.js file. But I think it's not the best way to get around this issue, since I have to preload the project in my browser before switching the line to disable the auto-compiler. 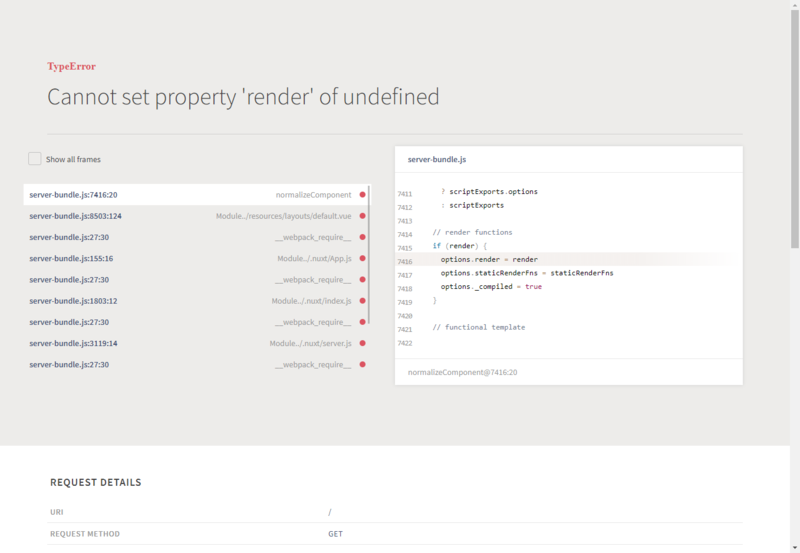 Would it be possible to skip the re-render when a backend-only change occurs? After deploy, the application has returns error 502. When i execute deploy, the page stay loading and nothing happen. However, whenever run npm run dev I'm getting unexpected token import and other ES6 related issues. Am I missing something here? Shouldn't I be able to use ES6 in my plugins? I have a nodejs project created with adonuxt. I have ssl enabled in my site. I am using nginx reverse proxy that take requests to localhost:port in my server. It always shows 404 in all js file. It also doesn't load any images. Any idea whats wrong? Thank you so much for your time. npm run build and npm start but I want to use pm2 package for the live server. using this command pm2 start server.js actually start the app but it's in development mood. How can I build it for production ready? 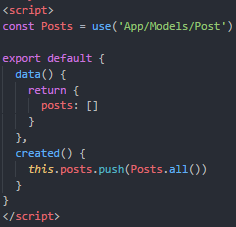 I want to use model in vue files. But it returns an empty string to me. How can I use this?